This is a hearty, filling and tasty soup. 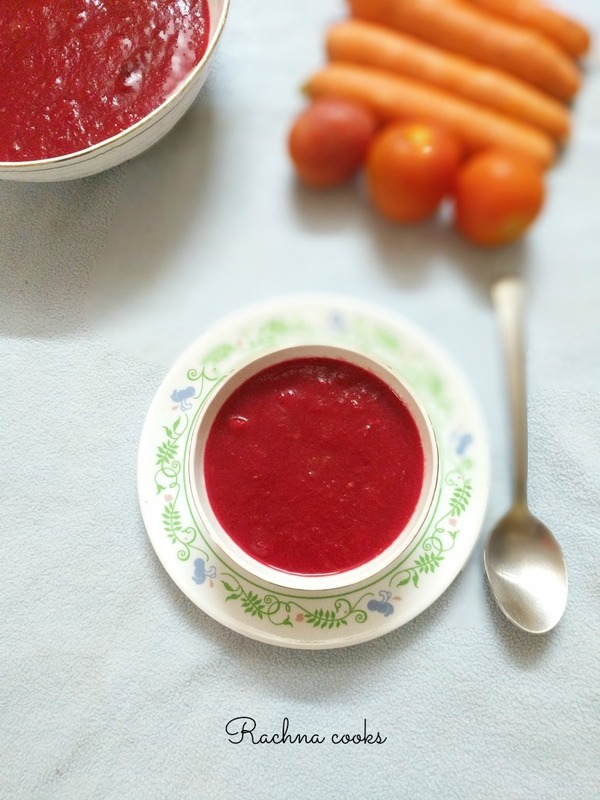 It is a variation of the tomato soup recipe that my mum used to make back home in UP. 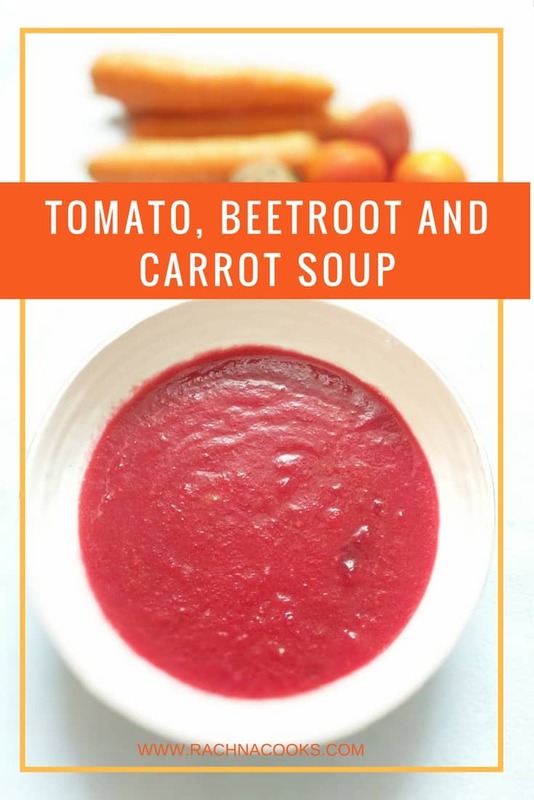 Adding carrot and beetroot up its nutritional quotient and the beetroot lends a beautiful colour to it. I basically just chop everything, put it in the pressure cooker and then blend and sieve it. Peel and cut all the vegetables into small pieces. To the chopped veggies add chopped onion, garlic and ginger with a little salt and water and pressure cook for two whistles. Once cool, take it out and blend it well to a smooth paste. Sieve it and put the soup back on fire. Add the butter and let it dissolve. Now add oregano and black pepper to taste. Adjust seasoning to taste. Serve hot with croutons. You could add a little sugar if the tomatoes are too sour. I didn't need to as the sweetness of the carrots balances it out. I generally toast the bread with butter. You could deep fry the bread pieces for home-made croutons. You can omit the beetroot if you don't like it. This is the perfect season to have this healthy and nutritious tomato soup. Kids love it as well. If you like this recipe, do share with your friends. Follow me on Facebook or Instagram to read more of my food experiences, recipes and food videos. You will enjoy this one especially in the chilly evenings of winter. Enjoy. Looking for more soup recipes click here. I should try this sometime…sounds very healthy! That was quick, Alok. 🙂 Yes, it is a nice variation to the tomato soup. Yes, I was on Twitter…so got to it right away. I love carrots anyway and drink juice made of it daily these days. This is a good season for carrots in India. They are sweet and so lovely just as it is. 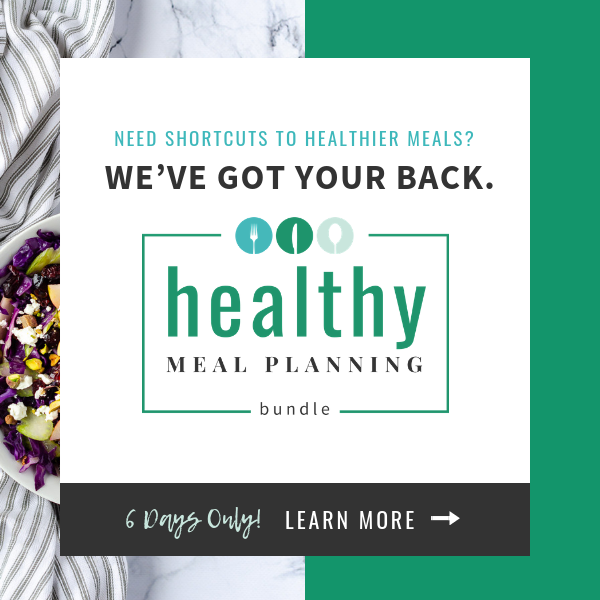 I have made something similar when I was on an all-liquid diet for about 2 months last year. Soups saved my life 🙂 This one looks delicious. Definitely going to try making it. I regularly take carrot-beet root soups. But never thought of adding tomatoes. Oh yes I’ve done this one. Love it. But had forgotten about it for some time. Thank you. Okay. I am really intrigued and will certainly be trying this out. 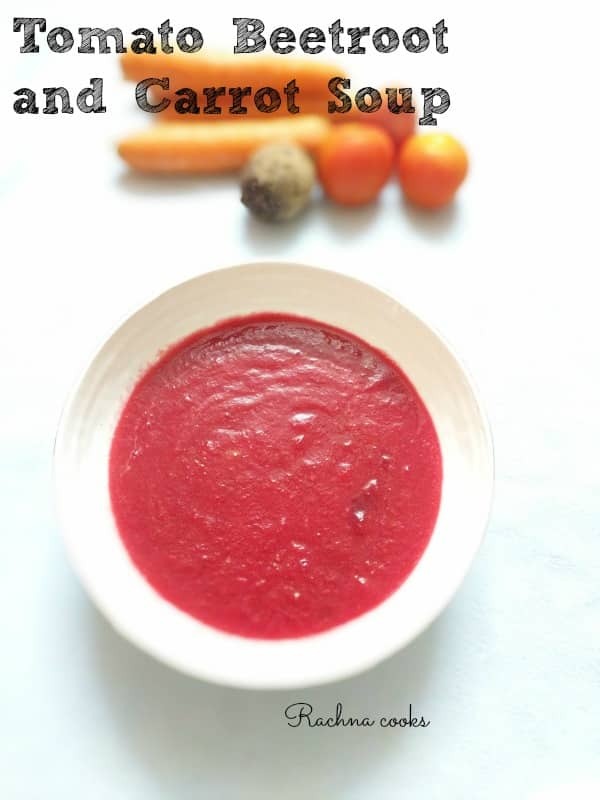 I have heard of cold beetroot soups from friends in Russia during their days there… but this combo sounds really good – in the end, which flavour did you feel predominates with this recipe? The tomato/beetroot? It’s the beetroot that dominates along with tomato. It is quite hearty and well balanced and the color is so appetizing. Try it and let me know. A perfect soup for a cold winter evening! 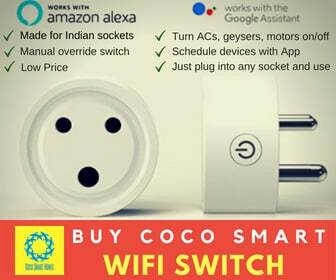 Will try it out soon. to me beetroot is a favourite so is tomatoes ,its richness in colour flavour and tanginess gets into me ,have you heard of beetroot in masala dosa ,well the Indian coffee house chains make that as a speciality ,started when potatoes were very costly and beetroots were found in abundance ! Thank you for sharing that interesting trivia.